Greg Childs is Director of the Children's Media Foundation. Greg worked for over 25 years at the BBC, mainly as a director, producer and executive producer of children’s programmes. He created the first Children’s BBC websites and, as Head of Children’s Digital, developed and launched the children’s channels, CBBC and CBeebies. 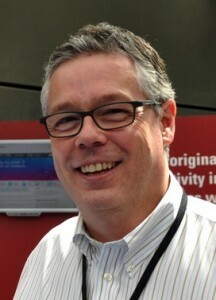 Greg left the BBC in 2004 and advised producers on digital, interactive and cross-platform strategies, and broadcasters on channel launches, digital futures and management support. He was in the launch teams for Teachers TV and the CITV Channel in the UK, and was advisor to the Al Jazeera Children’s Channel for three years. He also consulted with the European Broadcasting Union on their Children’s and Youth strategy. As Editorial Director of the Children’s Media Conference, Greg has grown this annual event into a gathering of 1,200+ delegates, with over 200 speakers, and spin-off events and activities year-round. He is also one of the Heads of Studies at the German Akademie für Kindermedien, and Director of The Children’s Media Foundation.